It’s a busy night in the NBA on Monday, with nine games on the schedule. First, the Knicks lost their 17th straight game, falling to the Cavaliers in a battle of the two worst teams in the league. Meanwhile, the Pacers took care of the Hornets, while Andre Drummond and the Pistons picked up a big win over the Wizards. Then, Kawhi Leonard played hero, banking in a game-winning jumper to lead the Raptors past the Nets. The slate gets a lot more interesting as the night wears on. The Oklahoma City Thunder will look to fend off the Portland Trail Blazers for the third seed in the Western Conference when they host them at Chesapeake Energy Arena. 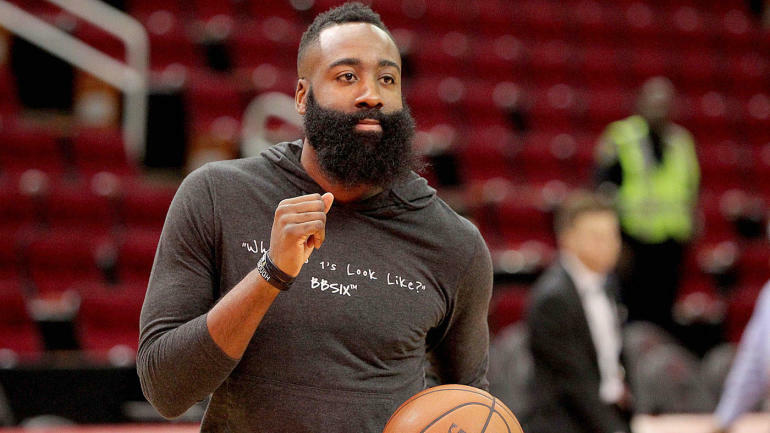 Meanwhile, James Harden will look to continue his consecutive games scoring streak of 30-plus points when then the Houston Rockets host the Dallas Mavericks. Here’s everything you need to know about Monday’s action. The Raptors pulled out a thrilling 127-125 victory over the pesky Nets on Monday night. Their star man, Kawhi Leonard, played hero on the night, banking in a jumper in the closing seconds to win it. For the game, Leonard finished with 30 points and eight assists. The Pistons are making a push for the playoffs, and have now won four games in a row thanks to their triumph Monday night over the Wizards. Once again, Andre Drummond put together a strong game, finishing with 32 points, 17 rebounds and four steals. This was the eighth straight double-double for Drummond, and fourth time in that stretch that he’s had at least 20 points and 15 rebounds. Luka Doncic once again got himself on the highlight reel against the Rockets. First, he showed off some fancy dribbling skill, then he threw an incredible pass. Joe Harris has quietly turned himself into a very solid player. His shooting is his best attribute, and he showed it off against the Raptors, draining seven triples in the first half alone. Even compared to other NBA players, Mitchell Robinson is a ridiculous athlete. That allows him to make plays like this, climbing the ladder to throw down the alley-oop. Mario Hezonja did his part to make the matchup between the Knicks and Cavaliers exciting. Driving baseline, he exploded to the rim for a thunderous slam. Paul George brought some early energy to the Thunder’s contest against the Trail Blazers. He scored OKC’s first basket with a powerful driving slam. Thon Maker is already making an impact with the Pistons. Against the Wizards on Monday night, Maker rose up to meet Bobby Portis at the rim for an incredible block. Unfortunately for Maker, he paid a painful price for his effort.